Well, I surely neglected my blog again….for almost a year! It’s all about recording memories for me. Life is busy, and time passes too fast. Today was voting day. Max always goes with one us- to teach him about participating in our democracy early. 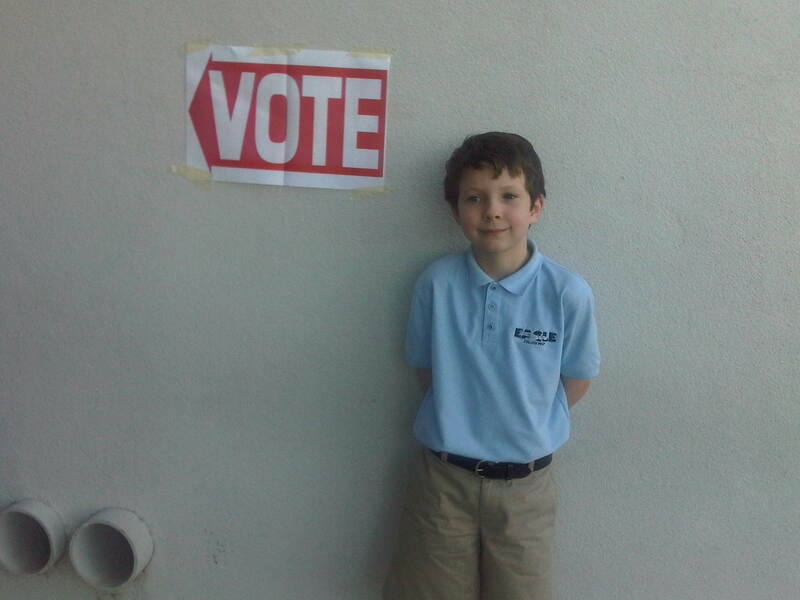 (See Max’s 2008 election particpation here). This entry was posted in Gratitude, Max by Jules Du. Bookmark the permalink.